Models include JX90 CAB / JX100 CAB & ROPS / JX110 CAB & ROPS. Farmall JX delivers unbeatable value for money. These tractors are powered by turbocharged and intercooled engines to give you maximum power for less fuel consumption. Up to 30% torque rise means fewer gear changes and greater efficiency, and the results speak for themselves. Power performance – Economical and fuel efficient without compromising on power and durability. Provides unbeatable value for money. 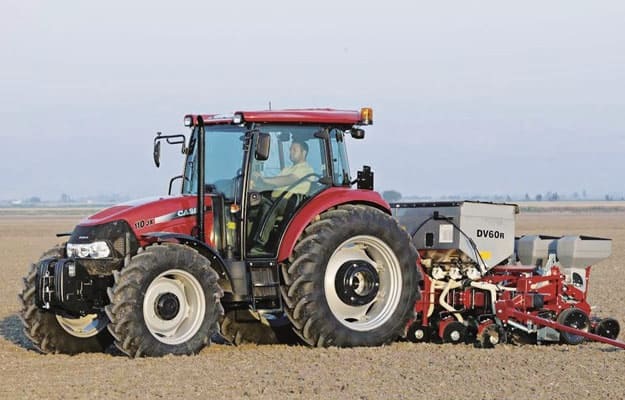 Farmall JX tractor engines give you maximum power and provides greater efficiency. Easy access and a great view – The view to loaders and trailed or mounted implements is among the best in this horsepower sector. Cab design – With a wide-opening, solid glass doors and anti-slip steps, it’s easy to get in and out of a Farmall JX. All essential controls are logically positioned and within easy reach. Operator comfort – We all know the importance of operator comfort. 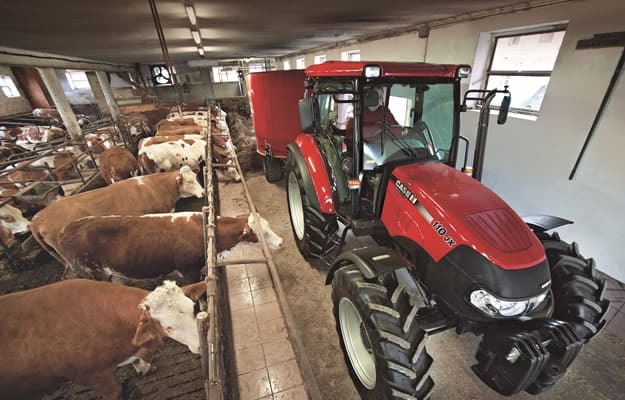 The Farmall JX tractor ensures that the operator is operating in a quiet and comfortable space which ensures that his productivity is maximised.